Defying the wilting heat, Church Street Café owners Cheryl and Greg Spinelli have having a whirlwind summer. They’ve appointed a new executive chef, Kevin Peterson, and are about to launch a monthlong celebration of the Café’s first anniversary. On Friday, Sept. 9, at 8 p.m., the festivities begin with Montclair Time Out — Parents Who Rock. There will be eight performers that evening (rumor has it that Church Street’s Greg Spinelli is one). 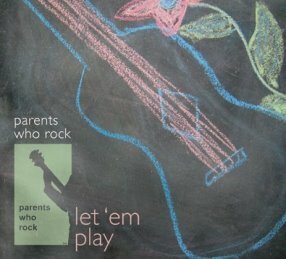 All are local parents with a variety of musical talents. 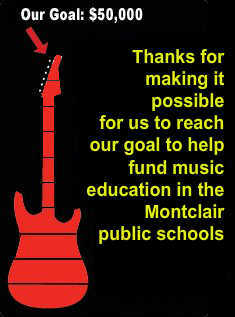 Montclair Time Out is a music event that takes place every three months for a different charity. This time the beneficiary will be the local Early Intervention Program. Donation is $10. Reservations are required and may be obtained by calling (973) 233-0216. On Saturday, Sept. 10, Church Street Café’s Anniversary Gala will rock the downtown scene with live entertainment. Chef Peterson, 28, was appointed executive chef on July 5. He is a graduate of the University of Maryland and New York City’s Institute of Culinary Education. Just before joining the culinary team at the Church Street Café in late 2004, he worked at the Union Square Café. Prior to developing and opening the Church Street Café, Greg Spinelli had a successful career as a catering director at such notable venues as the Tavern on the Green, The Russian Tea Room, Essex House/Hotel Nikko New York, and the Four Season Hotels and Resorts. Cheryl Spinelli’s hospitality industry experience includes F&B management positions with the Four Seasons Hotels and Resorts, Hyatt Hotels, Stouffer’s and Hotels of Distinction.